Racing, Mountain, Road Bikes You Need to Buy. best bikes of the year: ranked, tested, and reviewed. Searching for the best mountain, road or racing bikes to buy? Cyclists and outdoor enthusiasts put a lot of effort into choosing an adventure bike. That makes sense. If you’re going to log thousands of miles under saddle, you better be sure the bike you’ve choosing has the fit and features you need. Need a little help picking out your next rig? We wanted to help by highlighting the best bikes of the year. The problem is there are just so many incredible choices out there, from hardtail mountain bikes, to customized road bikes with all the bells and whistles. Best Racing Bikes - Built for speed, racing bikes are lighter and more aerodynamic than standard road bikes. They’re often referred to as aero bikes, too. Best Mountain Bikes - Mountain bikes are designed for ripping trails, and there are various types. Hardtails, cross country and enduro bikes are some of the most popular. Suspension is one feature to pay close attention to. Best Road Bikes - Endurance road bikes are designed for long-distance rides. Rider comfort takes center stage from a design standpoint, followed by performance and weight. Other types of road bikes include: cyclocross, commuter and triathlon bikes. We’ve featured our favorite here, and all of these bikes stands out for their own unique features, ride quality and performance. Bottom line: if you’re stumped about what you should be looking for, these are some of the top bikes on the market today. Racing bikes are powerhouses. They’re designed for smooth, efficient and speedy riding, and they’re designed for maximum aerodynamics. In terms of speed, the S-Works Venge delivers plenty. This is a road bike optimized for racing. The S-Works Venge features an aero frameset, matched with racing tires. It’s lightest, fastest version of the S-Works to ever hit the market. specialized bike - review by angeloutdoors.com. Buy the Specialized S-Works Now! Here’s what’s great about it: the S-Works Venge is built from high-quality Japanese carbon. The updated frame design results in a 460-gram weight savings. That’s fairly significant. Beyond the weight, the bike is equipped with Shimano Dura-Ace Di2 groupset, and the ride quality and comfort is better than ever. The S-Works also features an ergonomically designed cockpit, with updated handlebars and 6- or 12-degree angle stems. Overall, the Specialized S-Works Racing Bike doesn’t get much better; this is a fast, light and sturdy racing bike. Pros: Super lightweight and fast. 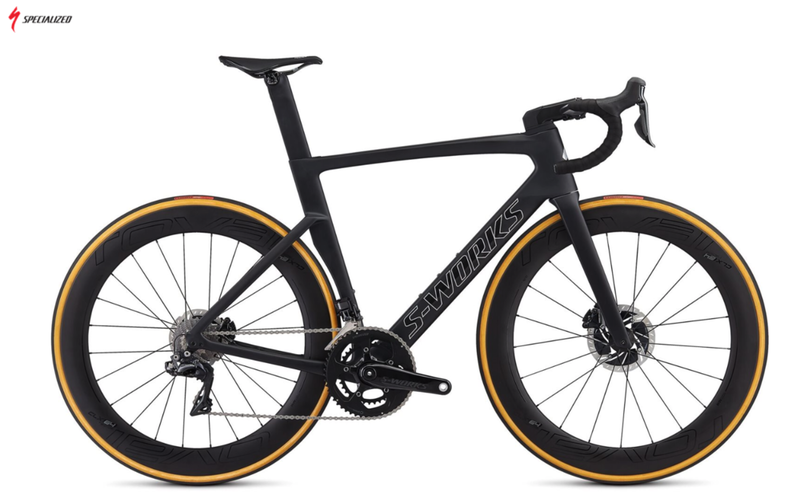 The S-Works is faster than previous models and it’s nearly 500 grams lighter. Plus, the updated cockpit delivers great comfort. Cons: The ride can feel a bit stiff. Plus, it’s slightly heavier than other bikes in the category. Final Verdict: The S-Works Venge is a powerhouse racing bike that’s been tuned for aerodynamics and rider comfort. This is our favorite all-around racing outdoor bicycle of the year. >> Learn How You Can Buy the Best Racing Bike! Pinarello might be one of the most legendary names in road racing, and that makes the F10 the Ferrari of the sport. In fact, the previous version - the F8 - has two Tour de France victories and the F8 has propelled pros to more than 800 wins. That’s pretty significant. pinarello bike review by angeloutdoors.com. The F10, though, adds new, subtle features to improve on the iconic nameplate. The updated version features a wider down tube, refined to reduce vibration. Plus, the bike receives a sleeker frameset, resulting in improved aero performance. Pinarello says the F10 is 12 percent more aerodynamic than previous models. The bike is also fitted with top-of-the-mark racing features, including Fulcrum Racing Zero wheels, a Dura-Ace Di2 groupset, and an Onda F10 fork. The Pinarello racing bike is for sale and it’s an absolutely brilliant bike that will help you reach top speeds. Learn about the Pinarello’s specifications and be sure to buy it from Angel Outdoors to get an extra bonus of entering to win our top Ultimate Getaway trip! Buy the Pinarello Dogma Now! Pros: Faster and stiffer than the F8, the ride quality is off the charts. Plus, the groupset is the best of the best. Cons: Pricey but some of the components could be upgraded, like the wheels, for example. Yet, this remains one of the best road racing bikes on the market. Final Verdict: The Rolls Royce of road racing, the F10 is a favorite of pros and Tour winners. It was so close in our ranking and review between the Specialized S-Works versus the Pinarello, but in the end you can’t go wrong with either racing bike. 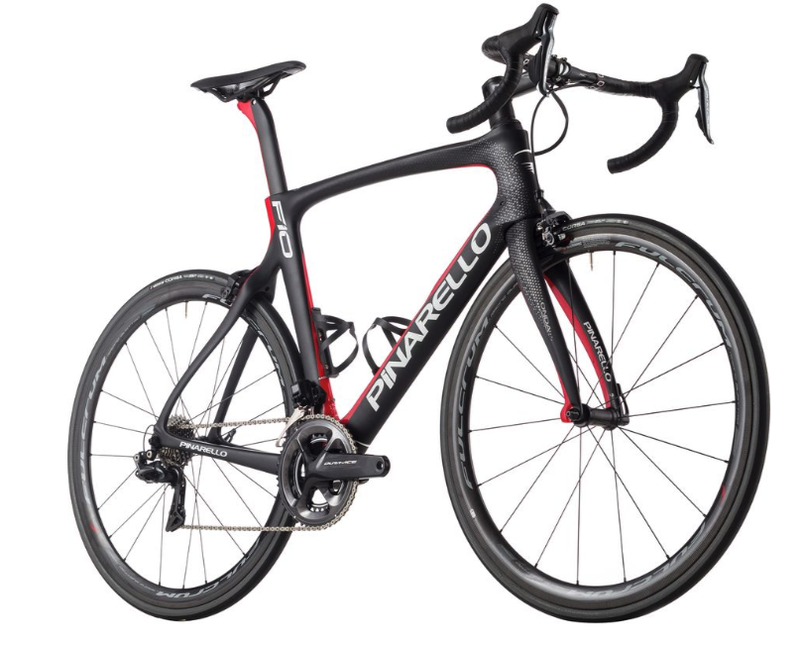 >> Learn how to buy the Pinarello Racing Bike Today! fuji bike review - by angeloutdoors.com. A Euro racer, designed for those steep Alpine climbs, the Transonic 2.5 delivers impressive racing features at a modest price point. This is a mid-range racing bike that delivers top-of-the-mark performance. As for its racing bona fides, the Transonic 2.5 features an Ultegra groupset, which delivers smooth handling, and that’s matched with an updated C5 high modulus carbon fiber frame. As a result, the Transonic 2.5 is lighter and more rigid than ever and the comfort is off the charts. Fuji’s racing bike engineering team spent a lot of time in the wind tunnel, and it shows. The Transonic has greatly reduced drag. It cuts right through the wind to get you faster speeds as a racing bike. Pros: Ride quality earns high marks. The updated frame adds rigidity and cuts down on vibration. Cons: The saddle isn’t the most comfortable (might need to upgrade). Plus, the seat post can be difficult to adjust. Final Verdict: The Transonic 2.5 is in incredible value and a confident racer. This racing bike is also a great entry-level bike for those beginning with outdoor bike racing. >> Learn how to buy the Fuji Racing Bicycle! The Orca line has been Orbea’s top racing bike for decades. And over the years, it’s undergone numerous innovations and styles. The Orca Aero M20 is a perfect example. This model gets an updated chassis for increased aerodynamics and added efficiency. Plus, the newly updated frame is the epitome of race bike geometry. It’s an aero bike, through and through, with sleek lines and little drag. 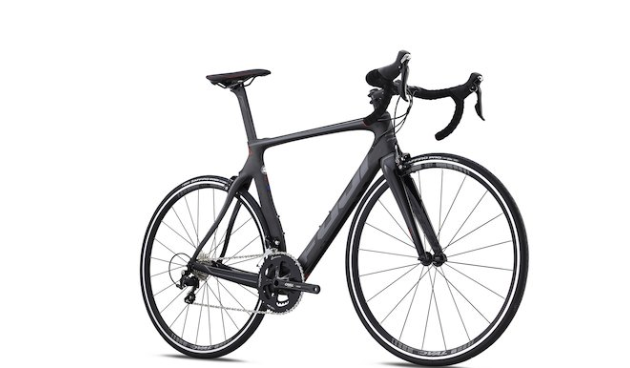 Buy the Orbea Orca Aero M20! The M20 by Orbea is available with numerous upgrades, including your choice of group set (the Ultegra R8000 is top-of-the-mark), as well as DT Swiss wheels. Plus, it’s available in the brand’s signature prison jumpsuit orange. You’ll definitely stand out on this bike. One of the other awesome things about the Orbea Orca Aero M20 is its handling and dependability. If you like to scale mountains and high altitude terrains, the chassis of the bicycle holds strong and can weather the hilliest of climbs. Pros: A head-tuner with tons of style, the M20 Team delivers incredible performance. It’s fast and has perfect handling. Cons: The M20 has been designed for super-firm ride. That could be a turn-off for some riders. Final Verdict: A top aero bike at a mid-range value, the M20 TEAM bike is fast and beautiful. 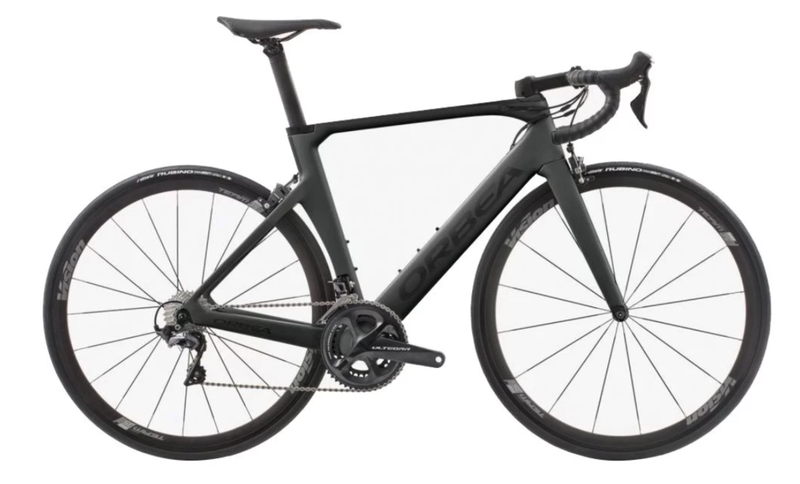 >> Learn How to Buy the Orbea Orca Aero M20! Intense has a reputation for putting out incredible mountain bikes. And the introduction of the ACV to their mountain bike collection is further proof. Dubbed the “Air Cushioned Vehicle,” this mountain bike is built for providing perfect traction, no matter the conditions. One feature that stands out: the ACV comes equipped with 2.8-inch tires. (Yes, it is a plus-size.) That’s wider than most production bikes, and the result for riders is added traction on the climb or descent. Ultimately, you can decide how to optimize the tires for your preferred mountain bike riding style. The tires have a 12-25 PSI range, so you can personalize the feel. The ACV features the brand’s signature monocoque carbon front and rear, which includes a perfectly tuned internal cabling system. The rear shock – a Rockshox Monarch RT3 Debonair – adds plenty of give on rougher terrain, as well as great pivoting ability. Finally, for climbs, the bike’s SRAM X1 drivetrain provides plenty of power, especially since it’s matched with Race Face Next cranks. Bottom line, if you’re a single-track warrior, this bike should be on your list of considerations. Pros: For a plus-sized trail bike, the ACV performs surprisingly well, offering added traction matched with plenty of descent speed. If you’re looking for increased stability, this is it. Cons: The ACV is a plus-sized bike. That does add resistance and more weight. So, if you’re all about speed, you might look something a bit lighter. Final Verdict: The ACV is a workhorse trail bike that powers up hills like it has a motor, and its wide 2.8-inch tires give it a bit of cushion over rougher terrain. >> Learn how you can buy the Intense ACV Mountain Bike! Looking for a hardtail to call your own? The Marin Nail Trail line might be just what the doctor ordered. First off, the bike’s geometry is modern and built for rugged adventures. The Nail Trail’s frame keeps riders low but with an extended wheelbase. That gives the bike plenty of agility on rugged single-track. The frame, built with lightweight 6061 aluminum, keeps weight down, and is matched with a RockShox Recon RL fork. Buy the Marin Nail Trail Bike! Pros: Lightweight and fast, the Nail Trail delivers a pleasurable trail ride that you won’t find from most hard tails. Cons: Hard tails… You either love ‘em or hate ‘em. If you’re not on team hardtail, this probably isn’t the bike for you. Final Verdict: The Nail Trail is surprisingly agile for a hardtail and is built for speed and stability. It’s the perfect trail bike for newbies and experienced riders, alike. This is a fantastic mountain bike… be sure to see if it’s a perfect fit for you too! >> Learn How to Buy the Marin Nail Trail Bike! With the release of the third-generation Highball, Santa Cruz went back to the drawing board. Although the Highball, the company’s line of cross-country racing bikes had numerous fans; the bike still was weighty compared to competitors. That’s changed. Santa Cruz completely redesigned the Highball mountain bike line, and the latest version is lighter and more agile than ever before. The Santa cruz mountain bike - reviewed. The biggest change? The Highball is now made with a Carbon C frame, which replaced the aluminum alloy setup. Plus, the group set (SRAM XX1 Eagle) and other hardware have been updated. All of these alterations helped the Highball drop 13% of its previous weight. Buy the Santa Cruz Highball Bike! What’s the same? The Highball is still a cruiser on the trail. As a cross-country bike, the Highball is built for speed. The Race Face crank provides plenty of power up the climbs, and the Fox Rhythm 32 fork gives this bike great rigidity. If you’re looking for a cross-country hardtail, the Highball, which is available in five builds, should definitely make your list. Pros: The all-new Highball is lighter and more agile than ever, not to mention it’s fairly lightweight for the class. Cons: The Highball is built for efficient racing; it’s not the best all-around mountain bike for weekend treks. If you like going fast, this is the bike for you. If not, you might look elsewhere. Final Verdict: The Highball hits the list as one of the best cross-country bikes on the market. It’s tight on the switchbacks, powerful and efficient – which are all things you want from a mountain racer. Beware though, as the Santa Cruz Highball can pick up some serious velocity on the downhill mountain rides. But is that a bad thing, after all? >> Learn how to buy the Santa Cruz Highball Bike! The Spartan has the look of a mountain bike tuned for descents. The latest iteration features a steeper head angle and a slacker stance. Yet, beyond the streamlined profile, the Devinci Spartan is built romping on the trail. The bike features a Carbon DMC-G frame, that’s helped shed some of the Spartan’s previous weight, making it faster and more responsive. Devinci mountain bikes - reviewed. Yet, the Devinci mountain bike really stands out for its suspension system. The suspension has been completely revised. Now, the Spartan features a RockShox Super Deluxe damper in the back with 170mm of travel, and a RockShox Lyrik fork with 165mm of travel up front. The result is a bike that matches a cushy feel with agility. The Spartan is equipped with a range of premium features, as well. A SRAM group set with 12-speed drivetrain is matched with 27.5-inch Maxxis Minnon tires. The tires have dimensions of 2.4 in. and 2.5 in., in the rear and front respectively. That helps give the Devinci mountain bike solid traction on all terrains… uphill and downhill. Buy the Devinci Spartan Bike! Pros: The Spartan is built for the descent. On the downhills, it’s confident and stable. This is a downhill ripper. Cons: For the price (the Spartan GX Eagle starts at $4999), the build quality could be slightly better. The hardware is great, but it’s lacking in a few places. Final Verdict: With is revised rear suspension, the Spartan delivers a plush, fun and agile ride on the descent. One of the most fun and responsive enduro bikes on the market. >> Learn how to Buy the Devinci Mountain Bike! A lightweight road bike built for speed, the Corvo delivers comfortable long-distance cruising on varied terrain. Not to mention, the Corvo received plenty of upgrades for the model year. The Corvo’s latest version features a full Shimano 105 5800 group set – providing smooth-as-butter shifting and plenty of power – matched with the brand’s signature Toray T700 Carbon frame and fork. The T700 frame is respectably lightweight, and that adds to its versatility on the road. This might be one of the most popular carbon bikes on the market (thanks, in large part, to its affordable price point). best road bike all-around review. Aside from its light weight and great price, riders have tons of control under saddle. The bike provides plenty of speed AND power. The Shimano 5800 Drivetrain is equipped with 22 speeds, and the Shimano 105 5800 50/34T Crankset and 11-28T Cassette allow the bike to climb like a champ. Whether you’re setting out for a ride on smooth pavement or modified gravel, the Corvo Road Bike will deliver thousands of miles of comfortable cruising. Pros: The full Shimano group set gives riders ultra-smooth shifting and plenty of power. Cons: Customization on the Corvo can be difficult, and like most bikes ordered online, the Corvo needs to be tuned. This can be a hassle for riders who want to hit the road. Final Verdict: Lightweight and powerful, the Corvo is one of the best values in the carbon road bike market. >> Learn how to buy your Tommaso Road Bike! The Fenix line-up is one of Belgium-based Ridley’s most successful outputs. There’s plenty of reasons for its success. 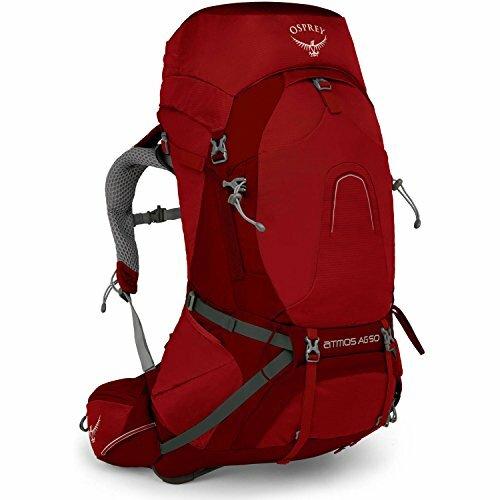 The Fenix line offers incredible value and great performance. What makes the SL Ultra so great? Well, for starters, the SL is one of the lightest in the range. Complete SL Ultegra models run just over 17 pounds, which bests many of its competitors. ridley racing bikes - review. Plus, the frameset and groupset have both been revised with comfort and efficiency in mind. The result is a smoother, more rigid feel. Plus, you get a bunch of road-worthy features and specs including Fulcrum Racing 7 wheels, increased tire clearance, and a premium Ultegra groupset. You’ll also notice improved aerodynamics thanks to its redesigned fork, which more naturally melds with the frame. Pros: The Fenix does everything well; it’s part commuter bike and part endurance road bike. It’s also an incredible value, and performance and ride quality earn praise, as well. Cons: The saddle doesn’t offer much cushion, which results in a slightly uncomfortable ride. Final Verdict: The SL Ultegra is a high-quality all-around bike; it’s perfect for commuting, long road jaunts, and or even racing. >> Learn How to Buy the Ridley Fenix Ultegra! The GT Grade is widely revered by road/gravel riders. It’s ideal for fast endurance adventures on paved ground, but that’s matched with a ruggedness that’s perfect for gravel or cobblestoned streets. The GT Grade was built for a softer ride, which is ideal for rougher conditions. For example, the thin fork and slacker stance on the GT Grade Carbon Mountain Bike allow you to weather bumps without feeling the full impact. Click to buy the GT Grade Carbon Bike! The GT Grade also features a ton of premium features. The frame set is built from carbon fiber, although there’s an aluminum version available. Plus, you get a Shimano 105 group set which delivers smooth-as-butter shifting. Pros: The value is just right. Plus, the GT Grade is designed for a comfortable ride. You have a longer head tube, which gives you a more upright position, and a frame set designed for softer riding. Cons: The GT Carbon is quite heavy at 20+ pounds. That’s a bit of a problem that can slow you down. Final Verdict: The GT Grade is the perfect entry-level bike that does just about everything. So, yes you will be happy with the GT Grade Carbon, whether you are a beginner, intermediate, or advanced road biker. >> Learn How to Buy the GT Grade Carbon 105! Every year, the bicycle market gets more competitive. New materials make adventure bikes lighter. Advances in e-bike tech make them more efficient and powerful. And mountain biking suspension systems are continually advancing. That makes putting together a list of the best bikes so challenging. How’d we do it? Well, we poured over numerous bikes from the past year, looking at their features, components, price, reviews, tests and many other aspects. The result is our favorite bikes from the past year. These are bikes that people who love the outdoors, whether that’s a paved trail or backcountry single track, can log miles on. If you’re on the market for a new bike, we’re hoping this list should help steer you in the right direction. Free Download our Exclusive Best Bikes of Year List! Get Access Now to this List! If you want the best mountain, race, and road bikes… be sure to also follow us online.